Network Solutions Coupon - April 2019 - $2.99/Month Promo Codes! There is a lot to be said for working with a trusted brand name when you pick out the host for your new website. If longevity and brand recognition is important to you, the choice is easy – head over to Network Solutions. Incredibly, this is a company that has been operating since 1979 – making it one of the oldest companies in the tech world. Millions of domains have been registered through Network Solutions, and they offer a full compliment of web hosting packages as well. Millions of previous website owners have trusted Network Solutions for their needs, so you will be in good company if you decide to do the same. Whether you are going to be purchasing a domain, setting up hosting, or both, the coupons below can help you to receive great savings. We have taken the time to track down the best coupons available on the web to make sure you are able to meet all of your hosting and registration needs for a fair price. Additionally, we test all of our codes on a regular basis to ensure that they are current and valid. We have no interest in wasting your time – we are simply here to help you save! 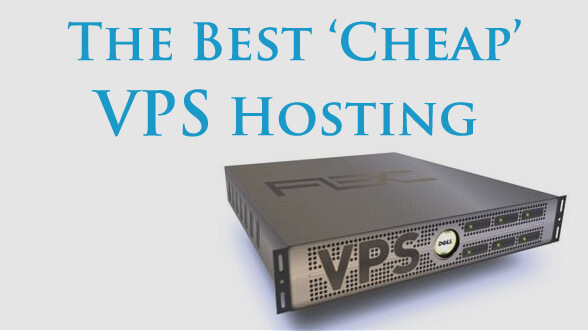 Network Solutions has some of the cheapest hosting packages in the business. How do we know that? They have a lowest price guarantee. Network Solutions is offering website hosting from $2.99/month. This promotional offer includes a 30-day money back guarantee, and a 99.999% uptime guarantee. For $4.99/month you can have the same hosting, along with $100 Google Adwords credit and a free eCommerce store, which is really rare for this price range. Again, no coupon code required, just click on the offer and the special pricing will take effect. Use this discount code and you can register a .ASIA version of your domain name for just $19.99/year. This promo code will save you 25% off New Orders of $75 or more at Network Solutions. Depending on what you're ordering, this coupon code might save you the most money. Buy an annual hosting package from Network Solutions and get a FREE domain name (any type: .COM, .NET, .ORG, .US, .BIZ, .INFO & .NAME). Limited Time Promotion: 99 Cent Domains from Network Solutions. Originally operating as a technology consulting company, Network Solutions has grown and diversified throughout its history. It first came into significant prominence when it because the administration company in charge of domain name registration. Over the years, the company has been purchased a number of times, and it is currently a property of web.com. Although Network Solutions is no longer the dominant player in the tech world that it had been in years past, this is still a brand name with plenty of recognition and trust in the minds of consumers. Visiting the Network Solutions page today will reveal a number of different products and services which are available for purchase. Of course, they still offer domain registration, which is where they first made their mark. However, there is also web hosting, custom website design (through web.com), lead generation programs, and more. If you are serious about building a major presence on the web, and you want to work with a company that can cater to all of your needs, opting for Network Solutions would be a logical choice. When it comes to social media, the Network Solutions brand is closely tied to the parent company web.com. In fact, on Facebook, you will only have the option of following the web.com account rather than following Network Solutions directly. However, over on Twitter, there is a specific Network Solutions account that you may choose to follow (web.com has their own Twitter account too, of course). The web.com Facebook page has well over 80,000 followers, while the Network Solutions page on Twitter is followed by more than 18,000 people. If you are looking for an active social media account to follow, the Facebook page will be your best bet by a big margin. Although the Twitter account is updated periodically, there are only a few tweets to review each month. The story is different on Facebook, where new posts are made available most days. Information and education articles make up the majority of the content that is posted to Facebook, so you will likely enjoy this account if you like to read articles which relate to you as a website owner and operator. With regards to YouTube, the good news is this – Network Solutions has a channel which contains plenty of informational videos. On the downside, however, is the fact that all of these videos are at least three years old. So, while some of them will remain relevant today, many of them have fallen behind the times. Since no new content is being added to the channel, there is no point in subscribing. Of course, you could choose to subscribe to the web.com YouTube channel, as it is an active page with some newer content to consume.